Flute Harvest is where Native American flute enthusiasts come to learn, connect, and grow. This unique experience is hosted by Clint Goss, Ph.D., Kalani Das, MT-BC, and Vera Shanov, MBA. Flute Harvest is open to everyone with a connection to the Native American flute. We offer a unique program that is customized for each person — providing a deeper learning experience tailored for each participant. 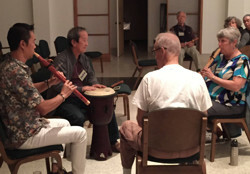 The retreat includes close-knit groups sessions, personal interactions, and specific, individual learning experiences provided each day to each participant. We have seen that this approach creates the opportunity for dramatic growth in personal playing skills on Native American flutes as well as general musicianship. While we do not wish to exclude anyone, in order to achieve the individualized program, Flute Harvest 2019 is limited to 15 participants. Whether you’re an absolute beginner or seasoned professional, Flute Harvest provides unique opportunities for developing your passion for the flute (and other instruments), meeting like-minded individuals, and growing your music practice. 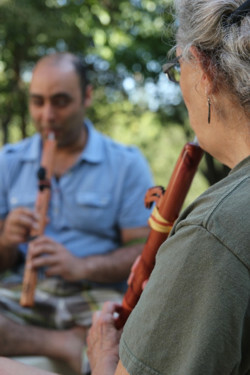 Flute Harvest features classes and workshops for the Native American flute and other instruments from around the world. All instrumentalists are welcome as are those interested in learning how to play other instruments, such as drums, tuned percussion, string instruments, mallet instruments, and other instruments that complement flute play. There will be plenty of opportunities to play together, network, share, and make new friends – Join us! NEW! 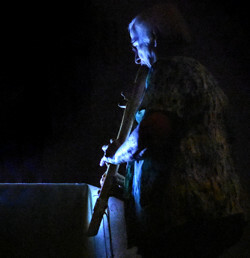 … We offer 30 CMTEs for Board-Certified Music Therapists (MT-BC). If you’re an MT and need CMTEs, simply check off the CMTE checkbox on your registration form! Flute Harvest is approved by the Certification Board for Music Therapists (CBMT) for 30 CMTE credits. Kalani Music, AP# 142 maintains responsibility for program quality and adherence to CBMT policies and criteria.